The Bellarmine University Women’s Soccer Summer Elite Camp is for 7th to 12th-grade female soccer players. It is a 2-day camp from June 9 to June 10, . Its goal is to expose campers to a high-level collegiate soccer environment. Campers will experience an intense but fun training. It includes tactical and technical development sessions. They will also experience to play competitive small sided and full sided games. Goalkeepers will also have their specific skills training sessions. The event will take place at Owsley B Frazier Stadium-Louisville. One of the regions top-notch soccer facility. The camp is set to start at 1:00 PM on Day 1 and end at 4:00 PM on Day 2. The facilitators of this camp are the Bellarmine University women’s coaching staff. Bellarmine University is a private, Catholic university in Louisville, Kentucky. The name is in respect to Saint Roberto Bellarmino. Currently, the university has around 3,800 undergraduate students. It is 11th in the US News and World Reports in southern regional universities rankings. And also, it is 224th in Forbes’ national rankings. The university has 20 varsity teams and they are known as the Knights. The university’s identity colors are scarlet and silver. It’s women’s soccer team is playing in NCAA Div I, Great Lakes Valley Conference. They have already 6 NCAA Tournament appearances. They are also the 2015 GLVC Regular Season Champions. And, 2011 GLVC Tournament Champions. The Bellarmine women’s soccer head coach is Chris Tinius. He is the team’s head coach since 2014. He is the 2015 Great Lakes Valley Conference Coach of the Year. Likewise, coach Chris Tinius is also the 2015 NSCAA Midwest Region Coach of the Year. The Bellarmine Knights have reached the NCAA Division Sweet 16 Tournament under his guidance. Then, the team’s assistant coach is Chris Cahill. He is with Bellarmine coaching staff since 2014. He is a former University of Notre Dame stand-out player. As a player, Coach Cahill is a member of the 2006 Big East Academic All-Star team. 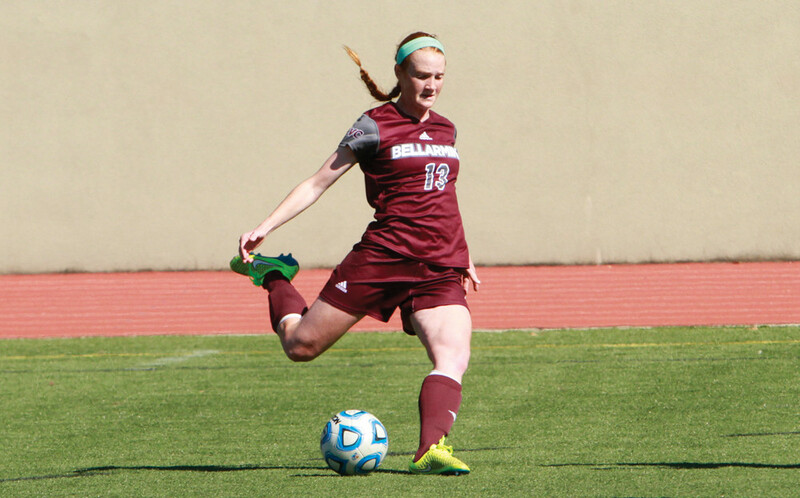 The Bellarmine University Women's Soccer Summer Elite Camp will expose campers to a high-level collegiate soccer training environment.